This summer has seen some of the best comic books we have read in a while, and this one is going to be one of them. 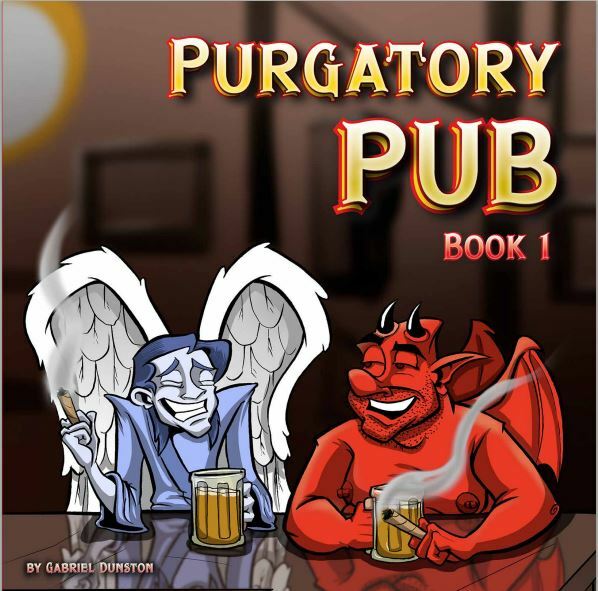 Angels and daemons, sinners and saints, what happens when they meet up to talk about the things they do, and their outlook on life, purgatory, and heaven. Really this comic has a melancholy edge to it that while not pervasive can lead to some interesting questions on your own. This is a good comic that makes you think just a little bit about the answers to heaven and hell that we have been given since childhood. Kitty heaven, seriously, do our cats and pets go to heaven? I would like to think so, but there is no clear answer here, but yeah, there is in my mind a kitty heaven and a doggy heaven filled with all the things that kitties and doggies like to have around. But the comic book is like that, we try to read it, but we use our own childhood answers to dull the issues in our own heads. While the eternal search for a good cigar is in the offering here, issues like heavy metal, bars, and unknown chicken products in a bucket you wander through this comic book stepping back at times taking a look at the things we all take for granted. Overall it is a really interesting comic book to read, but raises a lot of questions we as a race have been asking for probably the last 10,000 years when we started inventing Gods and Goddesses, and we started our own origin stories. Disturbing in some ways, but overall pretty decent in how it approaches the ideas of heaven and hell, and the friendship between an angel and daemon that seems to center on finding a really good cigar. We see gates where are there no gates depending on your outlook on life. In all, yeah this one is worth reading and finding, it probably isn’t for fundies. It would be cool if this one had a sound track, but overall yeah it is worth reading and worth finding. 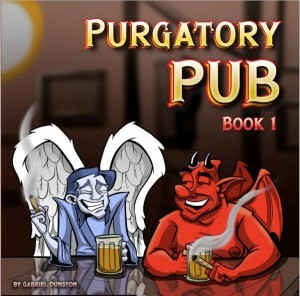 Overall I’ll rate this one 4 of 5 stars, not for the art, not for the letting, but for how you walk away from this comic book with your brain doing nothing but thinking about the fundamental nature of good, evil, heaven, hell, and the role in life of a good beer and a great cigar. This comic book is worth finding and reading, worth talking about, and overall enjoyable, but what really is the nature of Kitty Heaven? That question will be haunting me for weeks, until I find a good cigar to focus on rather than this delightfully disturbing comic book.